Two bantamweight fighters will attempt to come closer for a title shot, as Brian Bowles and Takeya Mizugaki lock horns at the upcoming UFC 132 on July 2. Brian Bowles will attempt to make a step forward towards a bantamweight title shot, as he meets Takeya Mizugaki at UFC 132 this July 2. The bantamweight fighters will square off at the said event, which green lits a title match between Dominick Cruz and Urijah Faber. Since Brian Bowles’ loss to current champion, Dominick Cruz, last year, he has dealt with a broken hand and foot. His injuries brought him out of action for almost a year. But following that, Brian Bowles bounced back after submitting Damacio Page during UFC on Versus 3 last March. 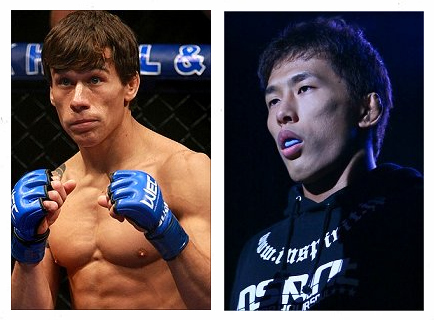 Meanwhile, Takeya Mizugaki will also have a chance for a title shot if he get pass Brian Bowles at UFC 132. Who’s foot will step forward on July 2? Let people know your bets by leaving a comment.